About two weeks ago, a few friends and I took a trip to New York to celebrate a friend’s birthday. As promised, I left my planning tendencies behind. Don’t get me wrong, I love being spontaneous but when I’m somewhere I love for a limited time, I like to make the most of it and this usually translates into jotting down my “top 10” places to see/eat/whatever. I understand the stress that is coupled with planning and meeting scheduled timelines, but there’s a sense of accomplishment that is truly enjoyable when you do get to see/eat/whatever everything on that to-do list. This time around, I checked my planner at the door and took the unplanned route. There were no anxiety attacks, no wringing of hands or sweaty palms. I fell into the rhythm of things, que sera, sera. With good company, it was easy to do & relaxing. 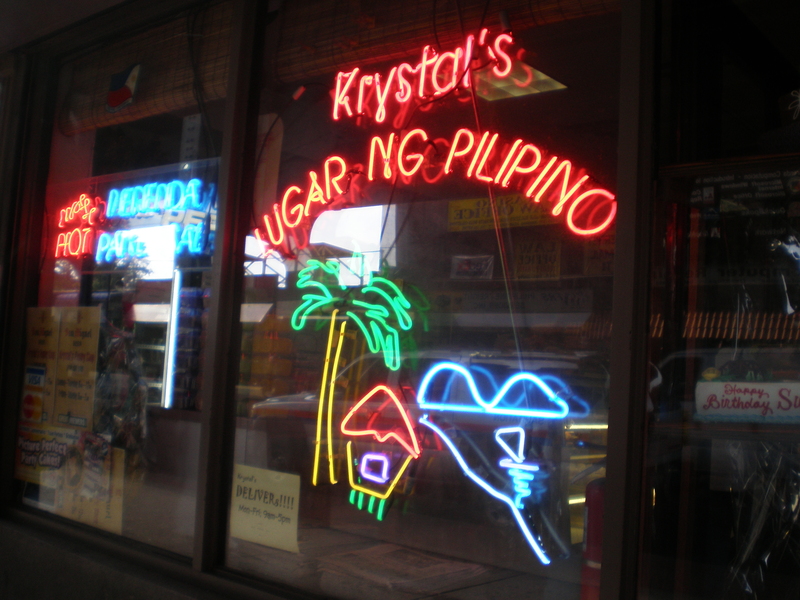 Our first stop was Krystal’s, a Filipino eatery and pastry shop in Queens. I’d heard it had the best of everything Filipino. The neon lights reflected a no muss, no fuss atmosphere, laid-back, home style, where I could expect to see uncles singing karaoke into the wee hours of the night. The trip worked quite a bit of an appetite in all of us and before I knew it, we were already well into our breakfasts before I remembered to take a few pics! Forget the fancy plating and swirls of special sauce. They serve it in the way I would expect if I were having breakfast at a friend’s house: straight up and delicious. 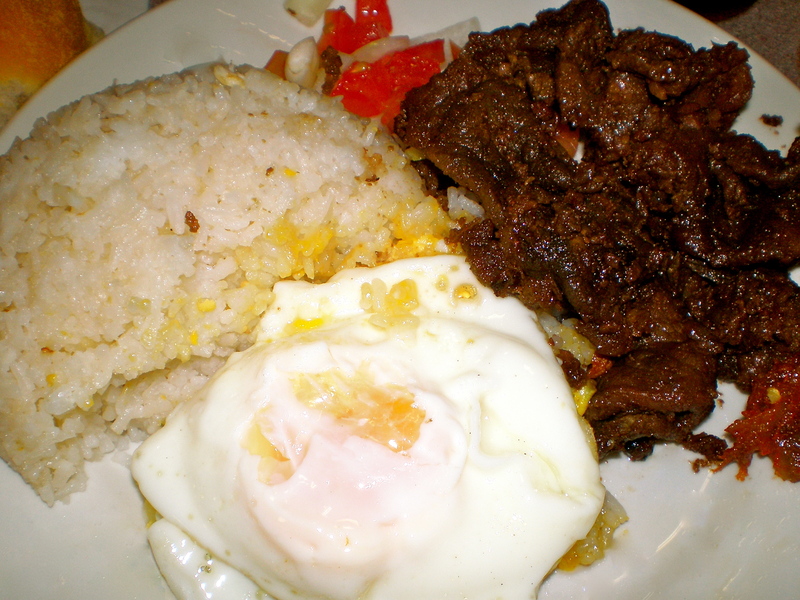 Tapsilog is comprised of three main ingredients: steak slices marinated in a sweet soy mixture, a fried egg, a heaping pile of garlic fried rice and a refreshing side salad of tomato and onions. Oh my goodness. Could someone please open a Krystal’s in my neighborhood please? Might I add..rows and rows of desserts flanked the cash registers..
Later in the day we got the rest of the bunch together and headed for lunch. A few of us dined on NY pizza and tasty sandwiches while the rest of us found this. One of us saw this food cart being featured on a travel show and just had to try it. 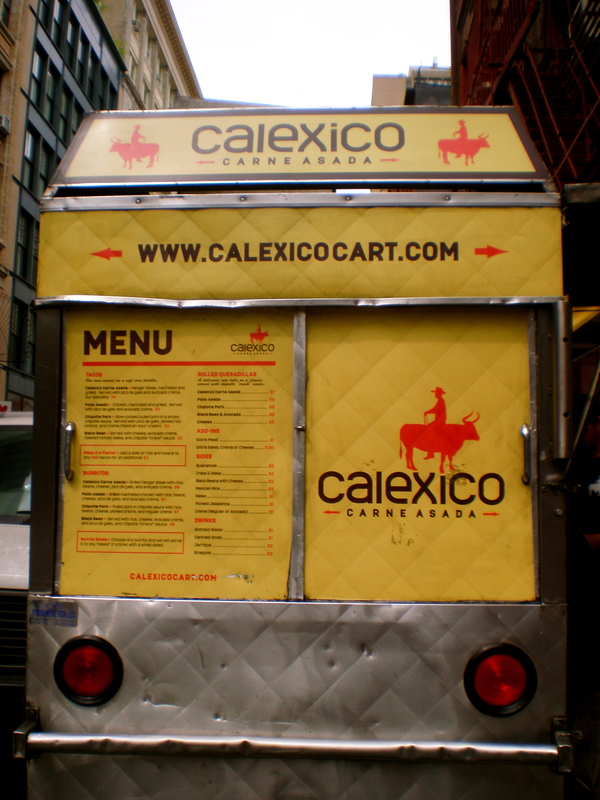 Located in SoHo on Prince Street, Calexico is the creation of three brothers from Southern California. The lines were long when we arrived. I took that as a good sign. The bright yellow menu on the side of the cart listed the usual suspects: quesadillas, tacos and burritos but their creations are anything but. Get the Carne Asada. That’s all I have to say. 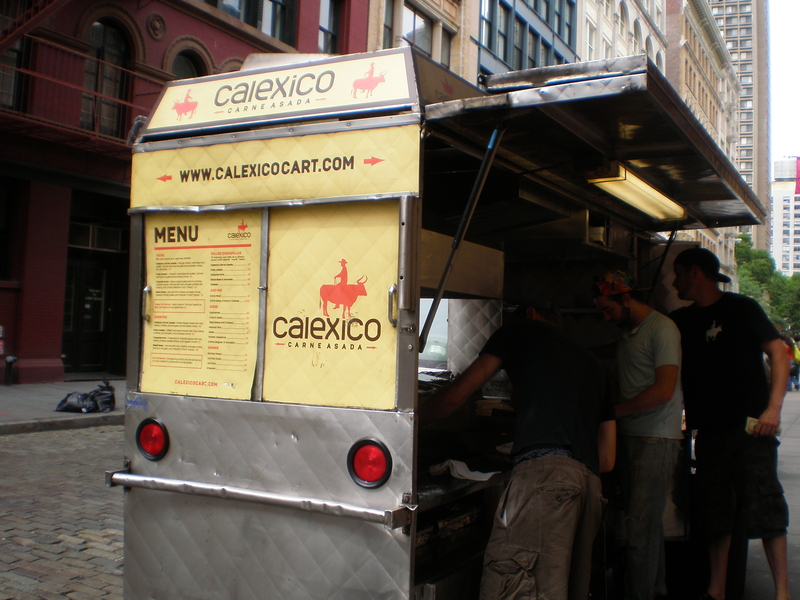 Listed as one of New York’s 20 Best Food Carts, it’s easy to see why. With tacos for $4 each and burritos for $8, it’s a delicious match made in heaven. A few cons: You’ll need both hands, a few napkins and sometimes a fork. It can get a bit messy, but it’s worth it. I’d run, not walk to Calexico. By the time we arrived, it was near closing time and most of the menu items were gone. 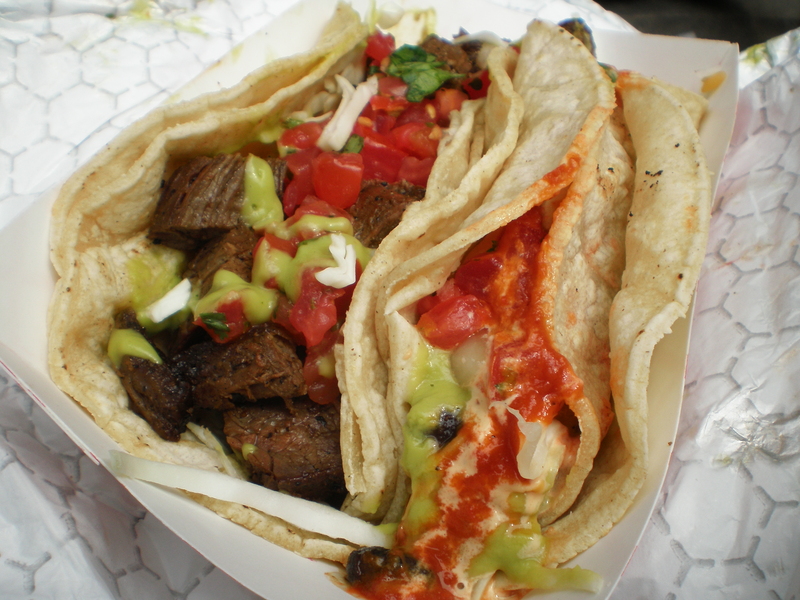 Below: Carne Asada and Black Bean Tacos. To ward off oncoming waves of food coma, we hit the streets to do a little shopping and well, in my case, a bit of meandering. If I was to take this spontaneity seriously, it had to start somewhere. 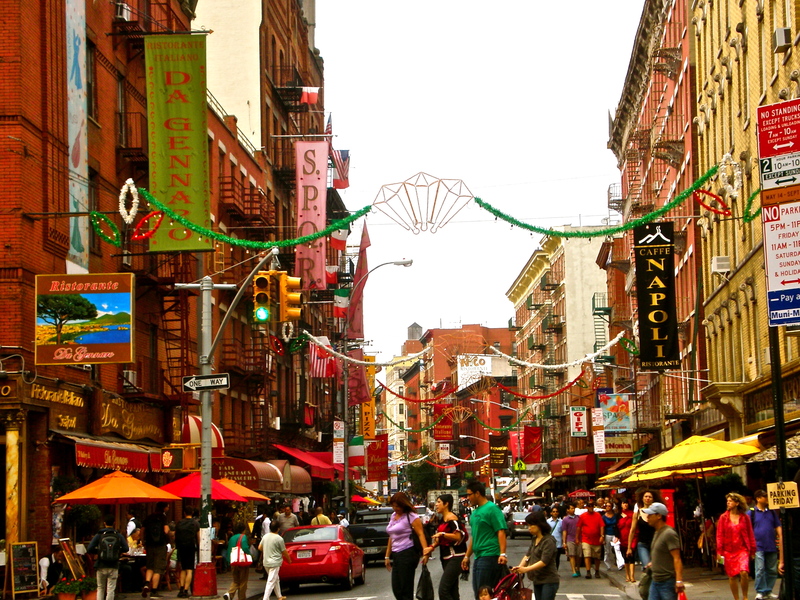 We literally turned a corner and found ourselves in a very red Little Italy. Tucked in between the restaurants was this wine shop. 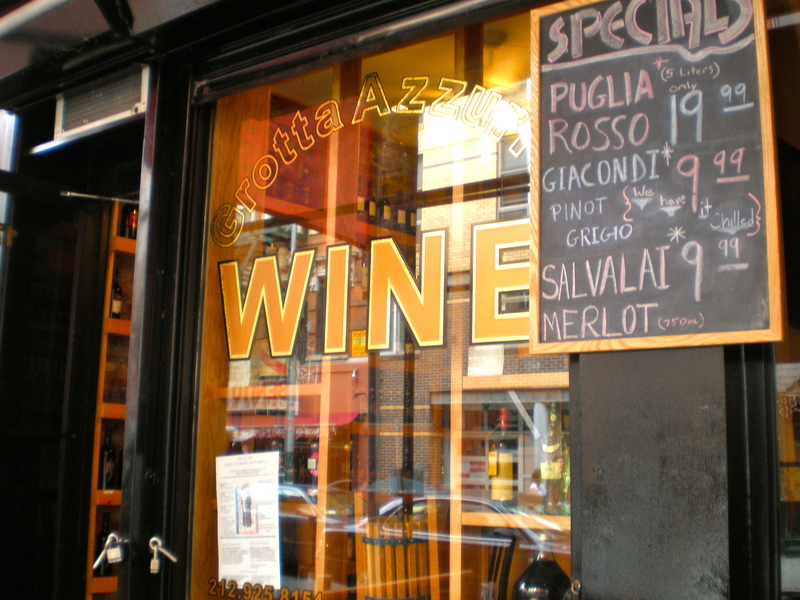 It’s a small hole-in-the-wall type of place, with a sizable selection of reds, whites, and something bubbly in between. There were two bottles of reds opened on the counter for sampling; I obliged myself to a few sips *wink* but I ended up getting a bottle of pinot grigio for the birthday girl. Soon after, we met up with the rest of the gang and headed back to take a little siesta. The food coma couldn’t be held off forever. Most of us passed out until dinner time, but isn’t that what vacation is all about? Mmm, all of these joints look soo good! 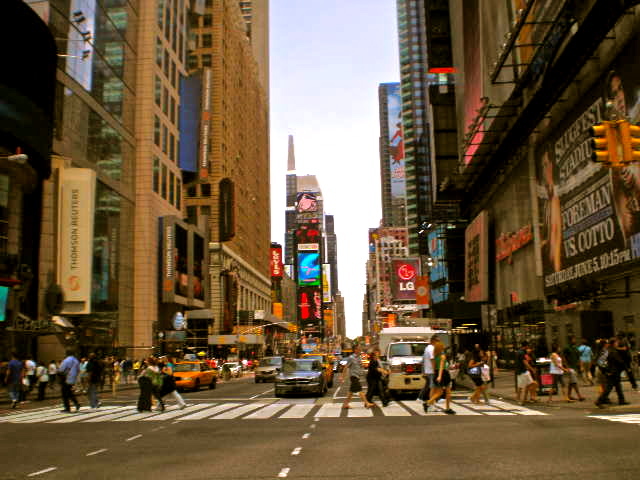 New York is so overwhelming in a good way. I can’t wait ’til the next post! 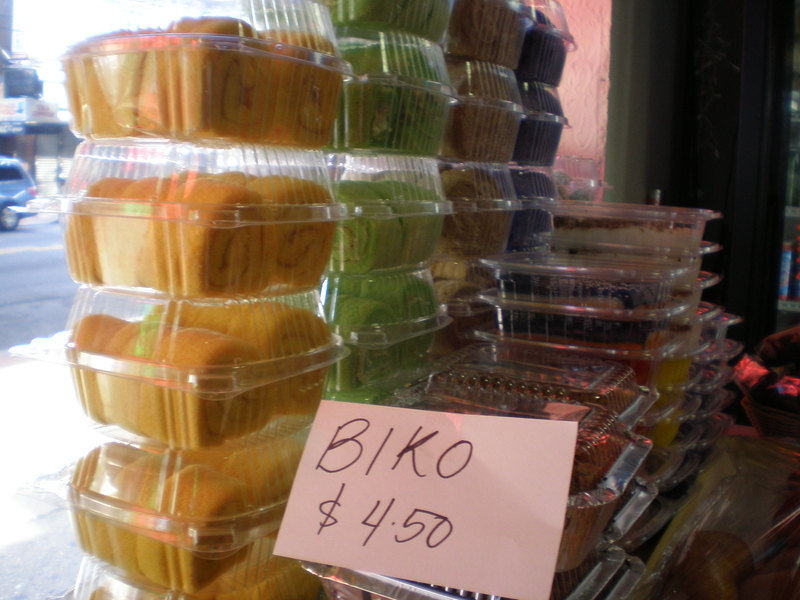 Btw, did you buy any biko? Hehe. Overwhelming in a good way is a great way to describe NY. I couldn’t believe how fast 4 days flew by! And no, I didn’t even have eyes for the biko after that huge breakfast. I had enough left over for the next day! Looks like you guys had an incredible satisfying time in NY. (as I drool over my keyboard) Thanks for sharing! Thank you Steven! I hope your long weekend at the beach was also incredibly satisfying! P.S. At many points during our stay, how I wished I had a cam like yours hahah!